Saravanan Meenatchi is one of the most watched TV Show in Vijay TV due to their huge Youth Audience. RJ Senthil plays a significant role in this Show. 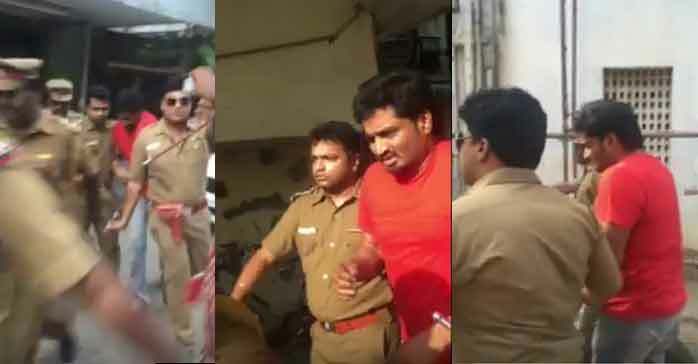 One Video showing RJ Senthil getting arrested by Policemen is getting Viral all over Social Media. Although the Police in this Video look like they are imposters, we are not sure since there was no official news. It looks like a scene in the TV Series. The cops in the video are wearing different colour shoes and are not in formals so there is more probability that it is at the shooting spot.